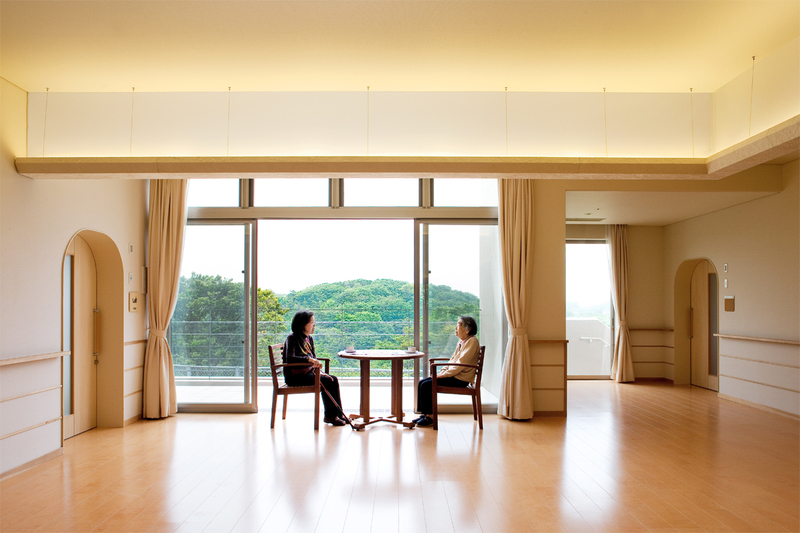 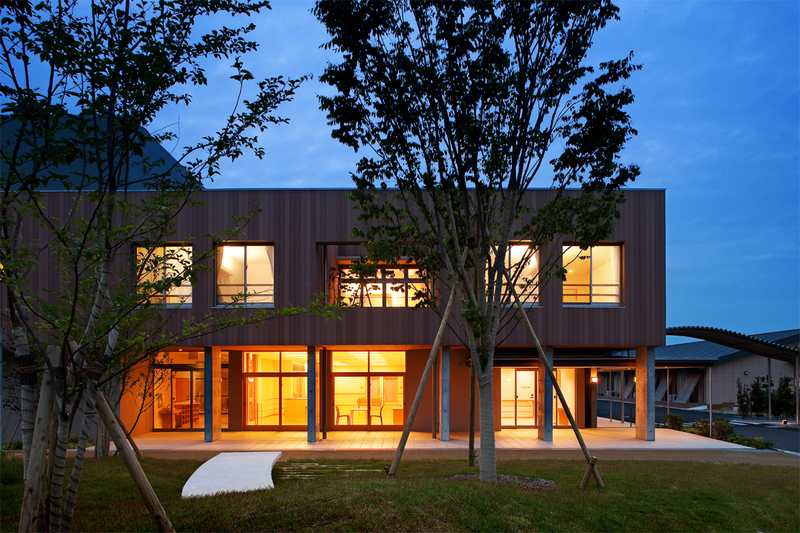 A special nursing home for the aged, with the size of 30 yuka, located at the northern of Kitakyushu City. 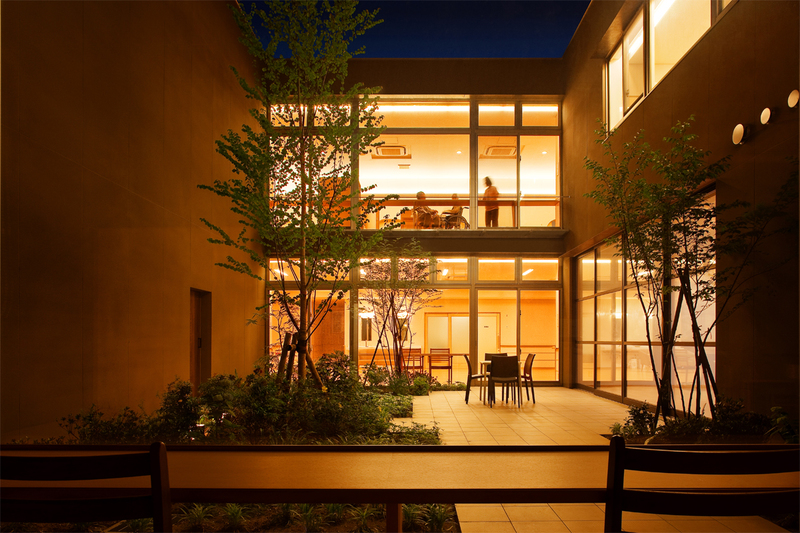 We proposed a facility that users who are not usually exposed to the outside can feel natural air. 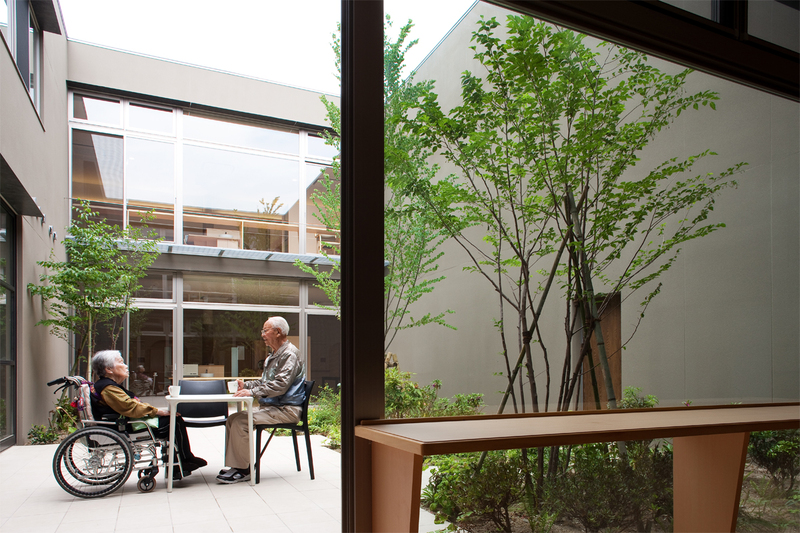 We arranged a "green courtyard" that can freely walked by, so that we can enjoy the wind and light anywhere in the building. 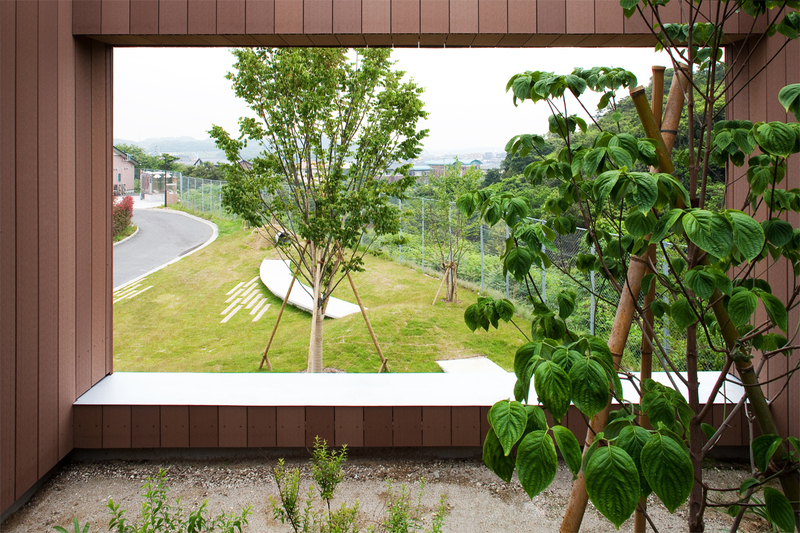 In addition, we examined how to design the "garden" which is the point of view between the nursery school, and created "cream of concrete” (chair, desk, and stage made from concrete) and "soil tube" to arouse power. 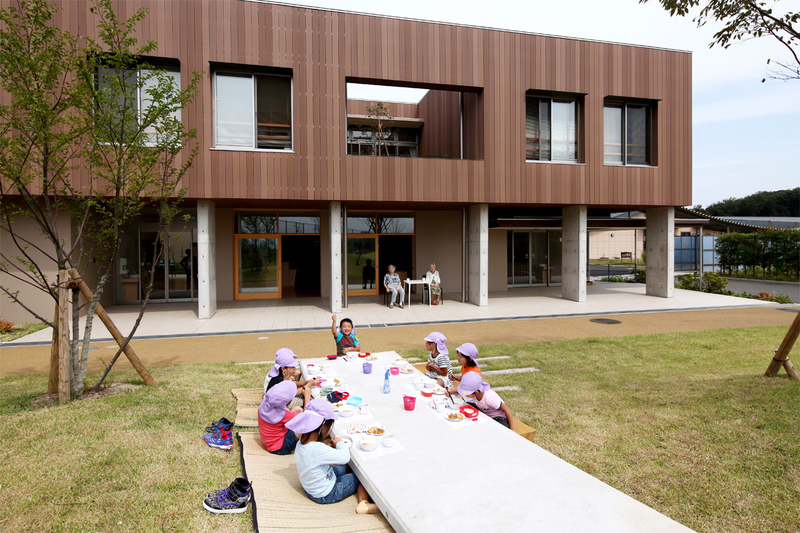 It has a service space facing the "garden", allowing people to eat together, play, and dialog. 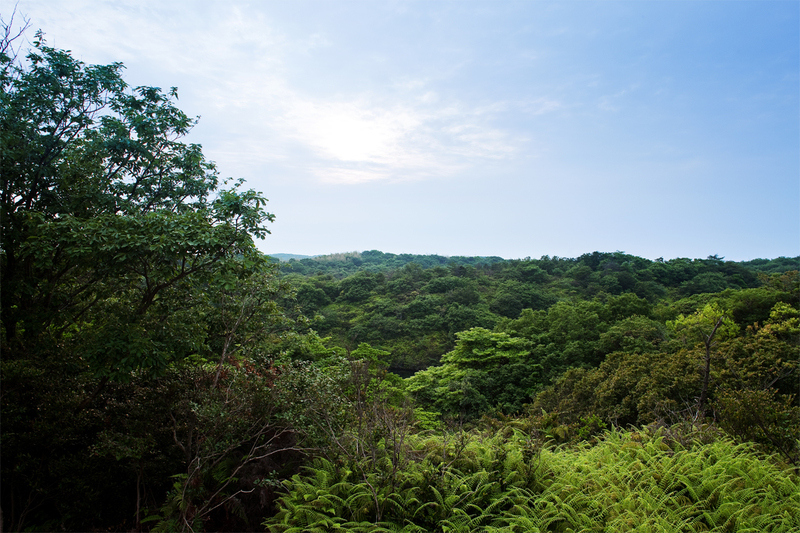 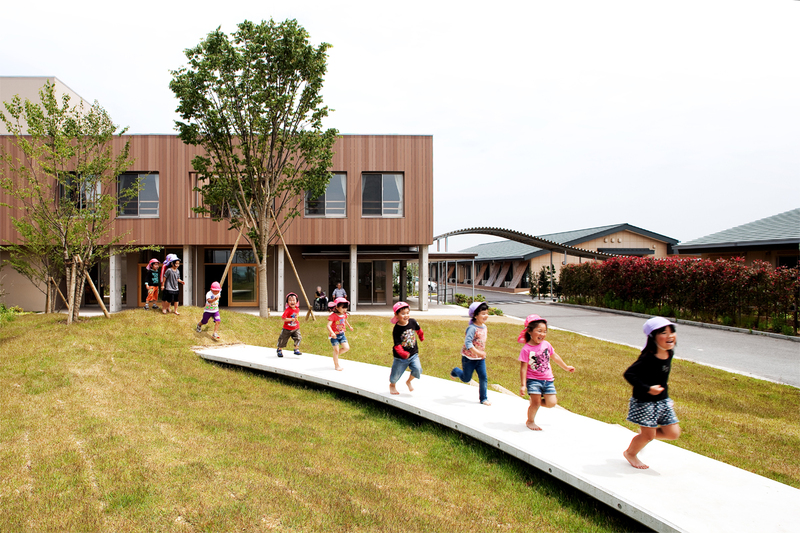 Children's delight and nature becomes daily living environment, aimed to show one way of "living in the end".